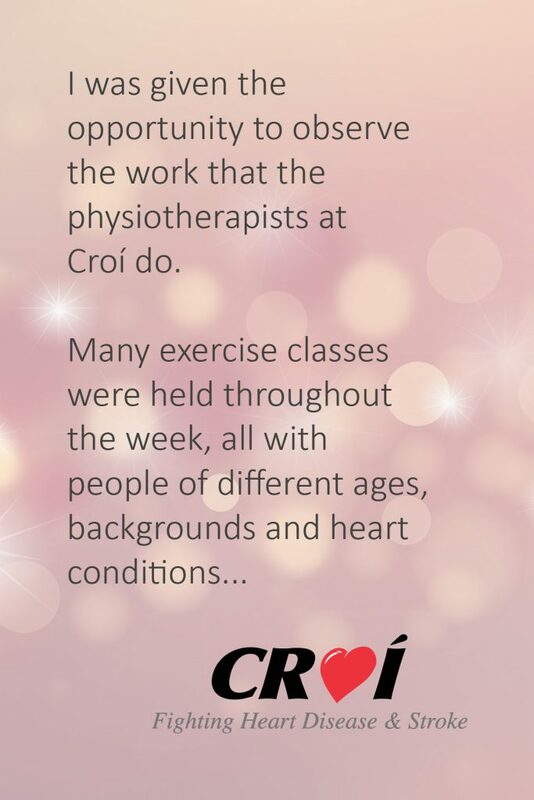 One of the programmes here at Croí is a Phase IV Cardiac Rehabilitation Programme, designed to provide ongoing support and motivation to individuals with cardiovascular disease to achieve the recommended levels of physical activity. 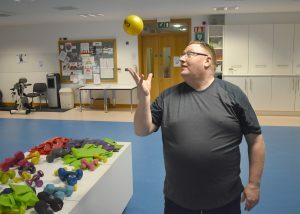 Terry Small is a dedicated member of Croí’s Phase IV programme and joins us every Tuesday for exercise at Croí House. 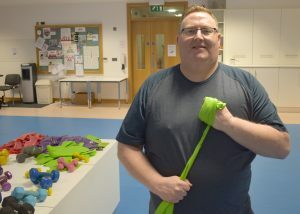 Terry was referred to Croí after having a stent inserted. 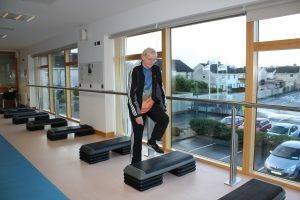 He started with Croí’s Active Heart Cardiac Rehab programme back in 2017, before continuing on with the Phase IV class. 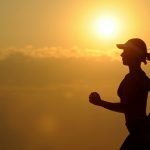 “I wasn’t doing much exercise before…You can get lazy when you’re retired! My wife used to go for walks on her own, but now I love joining her and getting out for some fresh air and exercise. 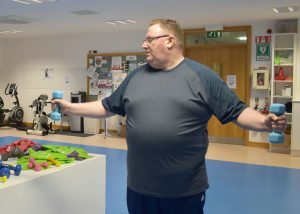 Now I am as fit as I can be,” says Terry. Well done, Terry! We look forward to seeing you again on Tuesday. 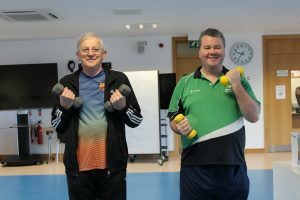 Terry Small, left, pictured with fellow programme participant, Darach Flanagan. 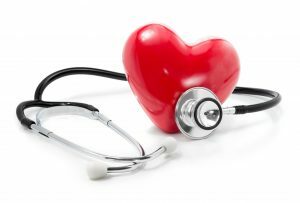 Cardiovascular disease is an umbrella term for all types of disease that affect the heart and blood vessels. Most commonly it refers to coronary heart disease (angina and heart attack) and stroke. However, there are other heart conditions that can affect your heart’s valves, muscle or rhythm. Heart valve disease is when one or more of the valves in your heart become diseased or damaged, preventing them from opening or closing properly. You have 4 valves in your heart (2 on the right, 2 on the left) that keep blood flowing in the right direction. the valve may not close properly allowing blood to flow backwards in the wrong direction. This is called valve regurgitation or incompetence. Common causes of heart valve disease include congenital heart birth defects, infections and degeneration over time. Due to wear and tear or high blood pressure, the prevalence increases with ageing. You may not experience any symptoms of heart valve disease for many years or they may seem vague and non-specific. Sometimes valve disease is only discovered when your doctor listens to your heart with a stethoscope and hears an abnormal heart murmur (heart sound). Many people with heart valve disease can live a normal life for many years, with little treatment. In some cases the valve may need to be repaired or replaced. This depends on which of the valves is affected, the severity of your condition and if it is getting worse. Increased awareness and early detection of this condition can mean heart valve disease is entirely treatable. Lifestyle changes and medicines often can treat symptoms successfully and delay problems for many years. Eventually, though, you may need surgery or a less invasive procedure to repair or replace the damaged valve. Remember, heart disease – and heart valve disease in particular – is easier to treat when detected early, so keep an eye on our website for a full article on heart valve disease coming shortly. Your beloved may have the key to your heart, but healthy eating and getting active can be the key to a healthy heart. 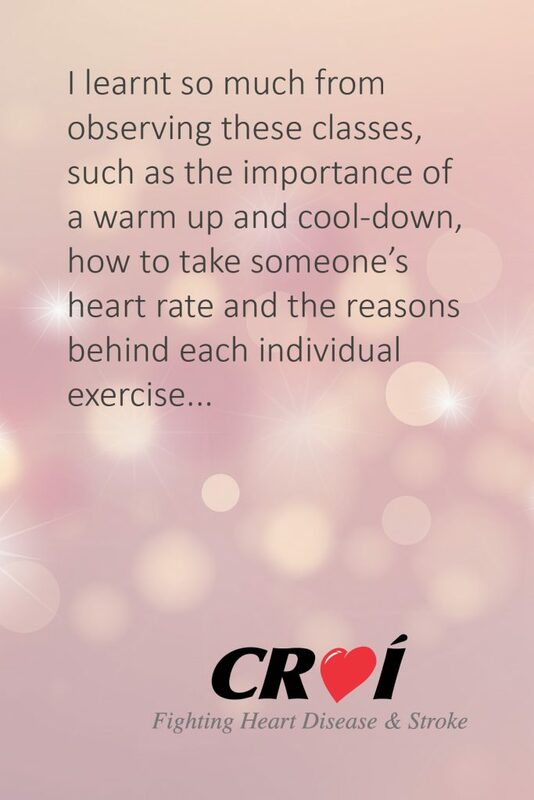 This Valentine’s Day why not treat your heart with love by sharing a heart healthy gift or date with your sweetheart. Rather than tempting your loved one with chocolates, get creative and consider gifting them something unique or that could last a lifetime. Gift a basket of fresh berries, some handpicked flowers or write the lyrics of a song that expresses your feelings into card. Sharing is caring, if gifted a decadent box of chocolates eat in moderation and savor every bite. Make the love go further by storing them in a fridge or freezer and enjoying later in the month in the company of friends and family. Take a cookery class together, brush up on your cookery skills and learn some tips and tricks along with delicious recipes for the next time you decide to stay in for date night. Cooking a romantic meal can be a great way for you both to bond and control the quality and quantity of meals. Use heart healthy ingredients, whether it’s breakfast for two or a romantic candlelit dinner for one. Use Galway Bay as inspiration by swapping your steak for local fish, rekindle your relationship with a less-favorite vegetable by preparing in a new way, or spice things up by replacing salt with herbs and spices. Lovers dining out for Valentine’s Day, avoid overdoing it by spending time planning your date in advance. Choose from one of the West’s many restaurants that use fresh, healthy, local ingredients, order half portions for larger meals, and skip or split desserts, your heart will thank you for it. 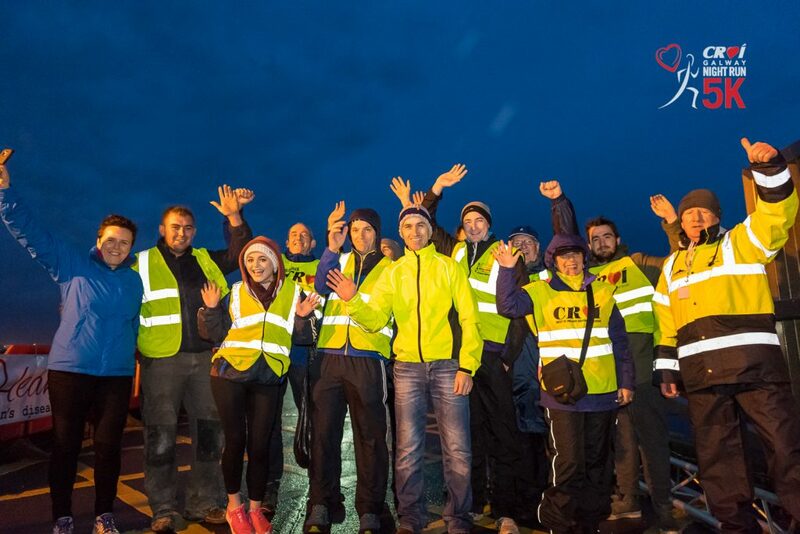 Avoid excess alcohol, skip the pub crawl and take your date on a site crawl around Galway City this Valentine’s Day. Set off from O’Connell’s pub and make your way down past Lynch’s Castle before dancing under the moonlight down by the Claddagh. Spend quality time together, make it a day of meaning and unforgettable memories by bundling up and getting outdoors to visit some of Ireland’s best tourist attractions. Visit the wild Cliffs of Moher or take a more relaxed trip to the picturesque Kylemore Abbey. Take a walk along Galway’s Prom, and if you have a dog why not treat them this Valentine’s Day by having them come along. Walking just 30 minutes a day for 5 days a week can really benefit heart health and help with weight management. Give to one another by giving back, ask your date to volunteer with you at a local charity. 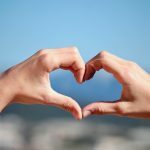 Giving back is a healthy habit that will boost your mood and beat stress. Can you spare an hour or two to help the team at Croí ? Take time to relax, book a double date at a spa, attend a yoga class together or settle in and watch a romantic movie in the evening. Taking time out from everyday life is important for heart, head and overall health. 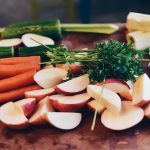 This time of year can be overwhelming when it comes to food, especially if you are focused on losing some weight to improve your health in the longer term. 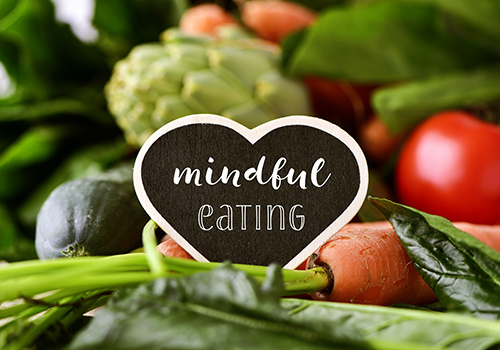 In recent years, mindful eating has emerged as a tool to help people achieve a healthier relationship with food. 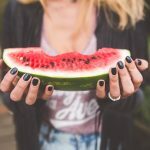 It can empower individuals to make choices for their own best interest, with a focus on eating healthier for the purposes of health in general as well as for supporting a weight loss goal. 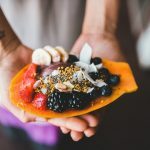 Instead of trying the next fad diet which we know can lead to restrictive eating and weight regain for many, listen to your body and mind and reflect on the habits you have and how you are feeling throughout the day, this can help to tune you in to a more mindful approach to eating. Plan shopping expeditions and always keep to what is on your shopping list. Avoid shopping for food when hungry. Eat meals at a pre-set time. Time meals to occur when you are regularly hungry. Do not engage in any other activity while eating, like watching T.V. or reading; make it an experience in itself. Never eat directly from containers; always place food on a plate. Do not leave serving dishes containing food on the table. Limit the amount of bingeable food in the house. Always put food away in cupboards out of sight. Savour your food, concentrate on its flavour. Chew slowly and use your senses to explore and savour the texture, smell, and flavour. Put the fork down between each bite of food. Prepare a list of alternative activities, incompatible with eating, for times when you know that you are going to be at greatest risk. For example, phoning a friend, going for a run or walk, taking a bath and so on. Listen to your body. Are you hungry or thirsty – don’t mistake thirst for hunger, sometimes all you need may be a drink of water to stay hydrated instead of a snack. 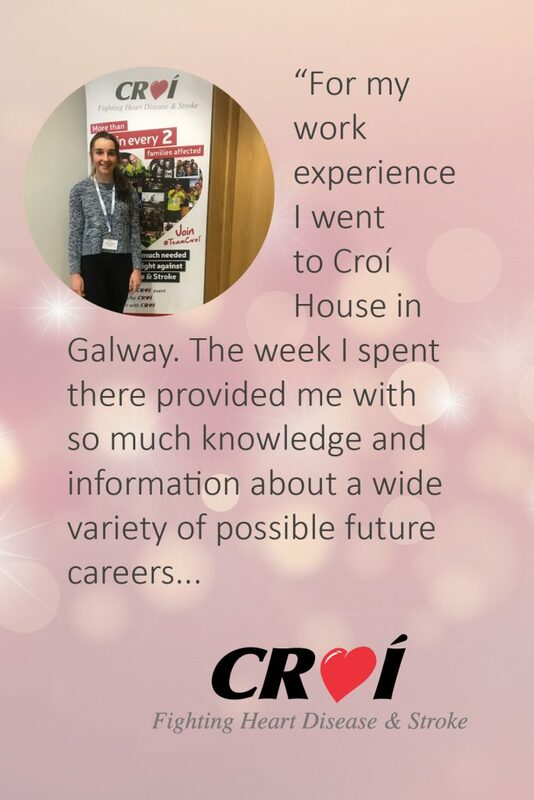 We received a lovely note from Róisín, a Transition Year student from St. Paul’s Secondary School, Oughterard, who just completed her TY placement with us! Thank you, Róisín – it was a pleasure having you at Croí. The festive season should be enjoyed, but with temptations all around we may need that extra bit of motivation to avoid overindulging. 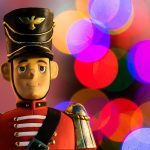 Here are some ways to enjoy this holiday season while staying on track with your health goals. Remember to enjoy the in season freshness of brussel sprouts, parsnips, sweet potato, satsumas, cranberries and other favourites. Bursting with a plentiful supply of vitamins, minerals and antioxidants that our bodies need to fend off the cold winter bugs and infections. They are also high in fibre helping to keep you feeling fuller for longer. You may even meet your 5 a day from your dinner plate alone! 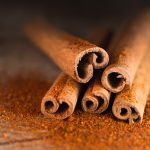 Replace some of the sugar you eat with traditional Christmas spices for fabulous flavour and some can even help soothe digestive upsets such as ginger & cinnamon. Many traditional foods at this time of year such as the lean meat in turkey, root vegetables like carrots and parsnips and cranberry sauce are actually low in fat but it is the trimmings, extra helpings and constant nibbling that piles on the pounds. So use a smaller plate and don’t feel you have to clear it. Also leave some time before going for more as it can take our bodies 20 minutes to realise that we are full. Festive gatherings are not all about food. If we are eating more food, then we need to move more to prevent weight gain. Meet up with friends/family for nice fresh walks or show some moves on the dance floor and do not forget that kids and animals need play time and the fresh air too! 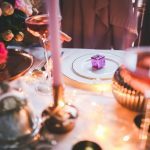 The party season can be exhausting and if we are tired and low in energy, it can be so much easier to be less active and indulge in the high sugar and high fat foods. 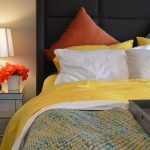 Ensure you are getting enough sleep to enable your body to fully recharge so it is ready to rumble again the next day. 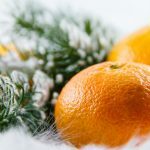 Have a healthy and happy Christmas! Charities change the world and people’s lives but they would not survive without their supporters! Today is International Volunteer Day and we want to thank our wonderful volunteers and acknowledge the vital role our volunteers play in making sure Croí can continue to provide vital services to people who need them. International Volunteer day was launched by the United Nations to celebrate the spirit of volunteering. 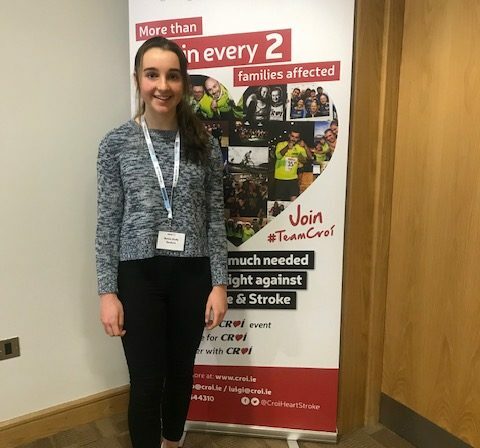 It’s an opportunity for volunteers and organisations to raise awareness of and gain an understanding for the contribution they make to their communities. Volunteering is one of those good things that everyone loves! Charities love it because they believe in the power of doing good. And, according to all the research, the volunteers themselves love it because it makes them feel good. Researchers have identified something called “helper’s high”, and many studies have found that over 70% of volunteers feel better or healthier after helping out. 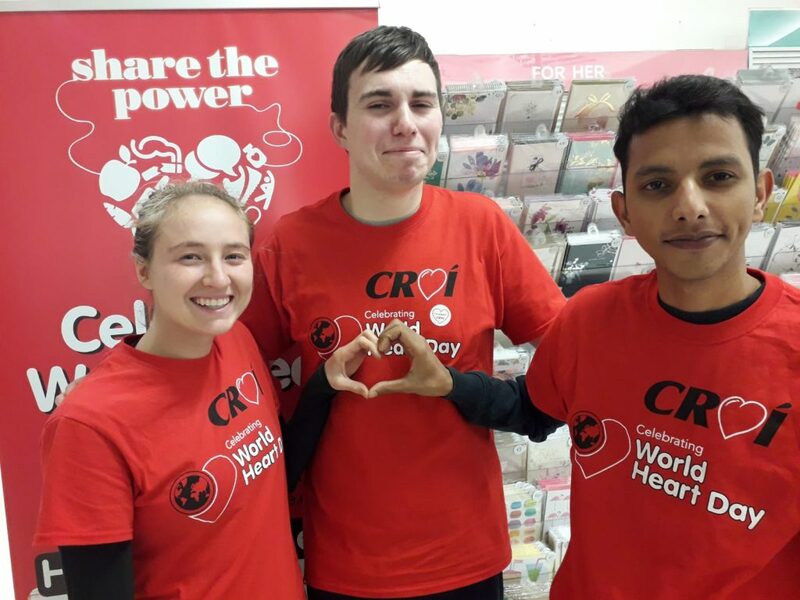 And it gets better… Did you know that some studies have found that volunteering for at least 200 hours per year (4 hours a week) dramatically lowers blood pressure in older adults? We are totally behind that! 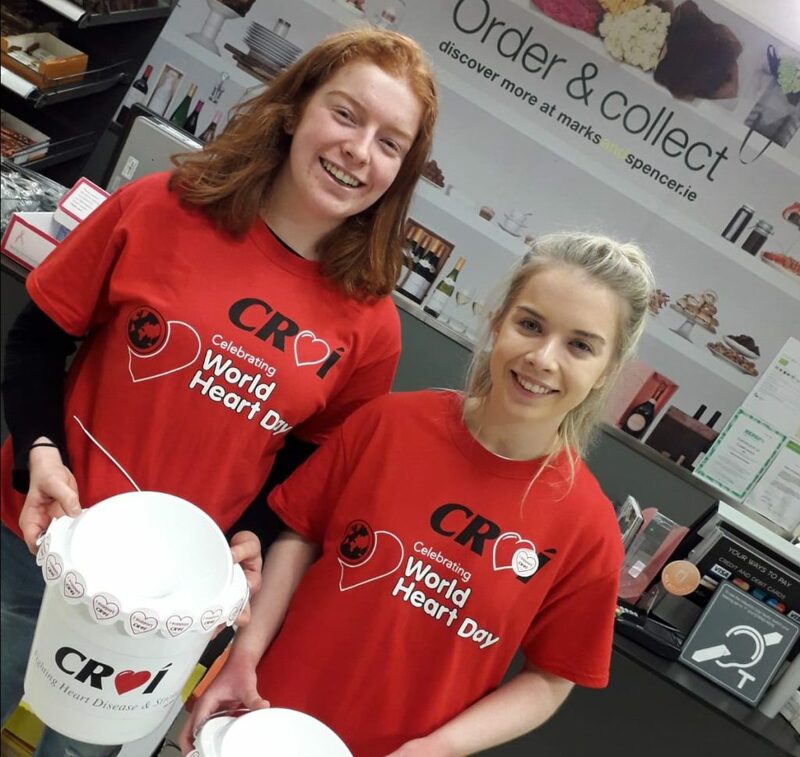 Our wonderful volunteers support us in so many ways, including fundraising, event coordination, health promotion and public awareness. Thank you for taking the time to support Croí and helping us in the fight against heart disease and stroke. Below are some tips to help tweak your favourite recipes to make them healthier and still taste great! If frying, use a good non-stick pan and dry fry (e.g. in the case of mince). Leaving out the oil could cut 45 calories per teaspoon in your meal. If your food is drying out, don’t add more oil, add a little water. 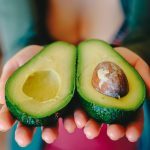 Use fats and oils that are high in good fats (poly- and mono-unsaturated fats), e.g. olive oil/rapeseed oil and try using less than the recipe suggests. Most recipes indicate that you need to add salt or stock cubes. Replace salt with alternative seasonings such as pepper, herbs, spices, lemon juice, vinegar or mustard. Use a reduced salt stock cube or half the amount stated in the recipe. 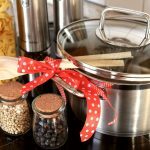 Allow people to season their own food after tasting it – they are likely to add less. Experiment by using less sugar when you bake – most cakes will work even if the quantity of sugar in the recipe is halved. Items such as fruit cakes, fruit scones and tea breads can be made without adding sugar as the dried fruit will provide sweetness. Use brown alternatives of rice, pasta and bread to increase the fibre content of recipes which will help you feel fuller for longer. Instead of using all plain white flour in recipes, use a mix of wholemeal and plain flour when baking, e.g. when making apple crumble – you can also add porridge oats to make the top crunchy and add more fibre! Top dishes usually requiring pastry, such as chicken pie, with mashed potato instead. Allow your broth, stew or soup to cool and skim off the fat that gathers on top of the liquid. Replacing some of the traditional fatty meats in stews with pulses like peas, beans and lentils can save calories and fat as well as adding fibre. Replace cream, whole milk and sour cream with semi-skimmed and skimmed milk, or low fat yoghurt. Low fat yoghurt and fromage frais can be used on hot or cold puddings and in dips instead of cream, double cream or Greek yoghurt. Fromage frais is fresh, skimmed cow’s milk cheese but is more like natural yoghurt. It is not suitable for use in cooking. Use strongly flavoured cheeses like mature cheddar or blue cheese in savoury dishes – you can use less and still get all the flavour. If you don’t like the strong taste of such cheeses simply use low fat alternatives of your favourites. Grate cheese instead of slicing as it will spread across a dish more easily and you can use less. Replace cream cheese with low fat cream cheese. Replace mayonnaise in salads with natural yoghurt or low fat fromage frais. Better still, try using vinaigrette dressings and serving them on the side. When making sandwiches, choose low fat mayonnaise or butter, not both. Flavour cooked vegetables with herbs instead of butter or oil. Replace some meat in dishes such as shepherd’s pie, casseroles and lasagne, with vegetables and pulses (peas, beans and lentils). It is a great way to disguise vegetables for those fussy eaters. Repost from safefood.eu. For more tips on healthy cooking and 30 minute meal ideas, check out the safefood.eu website. The 2018 World Diabetes Day is happening on Wednesday, November 14, 2018. The campaign is led by the International Diabetes Federation, and the theme for 2018-19 is Family and Diabetes. 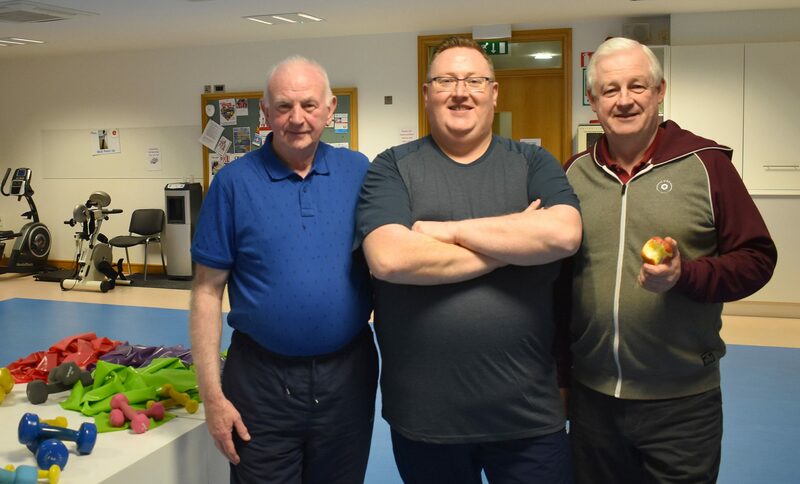 The primary aim of the 2018–19 campaign is to raise awareness of the impact that diabetes has on the family and to promote the role of the family in the management, care, prevention and education of the condition. The number of people with diabetes in Ireland is growing rapidly, with the total number estimated to be 225,840. “I finally took a stand for my health, and I feel so much better…better health, happier, overall improved. 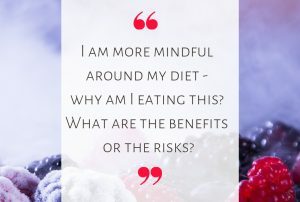 I am more mindful around my diet – why am I eating this? What are the benefits or the risks? I see it with my 12-year-old son, too. He wouldn’t eat fruit before, and now I can explain to him and educate him about food,” says Nicola. Diabetes can increase your risk of heart disease or stroke. This is why the target levels for blood pressure and cholesterol are lower for people with diabetes than for other people. Knowing the symptoms and risk factors for diabetes is important as non-diagnosis can seriously affect your quality of life. Undiagnosed or poor controlled diabetes can damage your heart, arteries, eyes, nerves and kidneys leading to serious health problems for you and your family to cope with. You need to pay careful attention to keeping blood sugar levels in your target range and have regular check-ups for cholesterol and blood pressure. Take your medications as prescribed and try to get to and stay at a healthy weight. If you are having difficulty managing your diet, ask your GP to refer you to a dietitian for advice and support. There is great potential to prevent type 2 diabetes in high-risk individuals by lifestyle intervention. In order to reduce the risk of developing Type 2 diabetes, it is recommended that all people have a healthy balanced diet, take regular physical activity and attain a weight appropriate to their height.